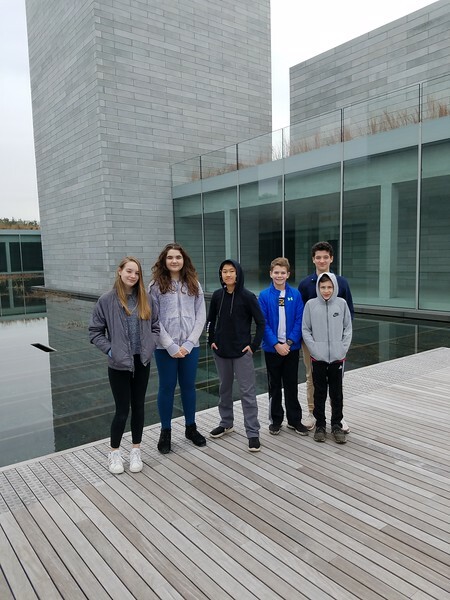 Intersession is a time for seventh and eighth graders at Norwood to take a break from the academic schedule and immerse themselves in an exciting variety of unique learning experiences. Held on and off campus, Intersession activities are planned and led by the seventh- and eighth-grade faculty. This year's line-up included trips to DC galleries and museums, cooking and baking activities, serving as a med student for the day at Walter Reed Medical Center, touring NPR, cellphone photography, making Studio Ghibli origame and drawing anime characters, serving as assistant teachers in Norwood's pre-K classroom, observing heart surgery, and so much more!